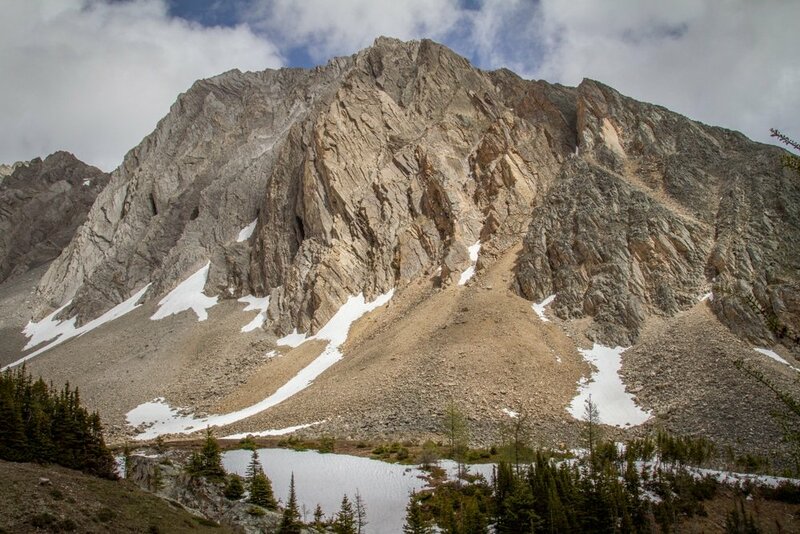 Ptarmigan Cirque Trail is an easy hike that takes you high into the mountains quickly. It is located in the Highwood Pass area of Kananaskis, the highest paved road in Canada which is only open from mid-June to mid-September each year (check before heading out). The hike ascends through sub-alpine spruce forest into a scenic mountain bowl, where the trail splits into a short loop. It’s usually possible to see mountain goats in this area as well. Ptarmigan Cirque is a great option if you are short on time for a full day hike, but want some mountain air. To reach the Ptarmigan Cirque trailhead, drive south down highway 40 about 70km until you see the marked Highwood Pass parking lot on the right. There is a short trail leading through a meadow from the parking lot, which leads to the trailhead. From here, carefully cross the highway and begin your journey up the trail. The trail weaves through spruce forest and gains elevation quickly. It can be a little muddy with some exposed tree roots in this area, so watch your footing. Eventually, you will pass the treeline and will enter a meadow of wildflowers where the trail splits into the Ptarmigan Cirque trail loop. Follow the loop clockwise and you will cross a stream a few times before entering a bolder filled mountain bowl below the cliffs of Mount Arethusa. The loop is short and circles the bowl. There are a few places to stop and admire the rugged mountain beauty, but when I hiked it was too windy to stop for a long lunch break. Try to find a slab or rock to sit on near the small pond to relax and enjoy the view. 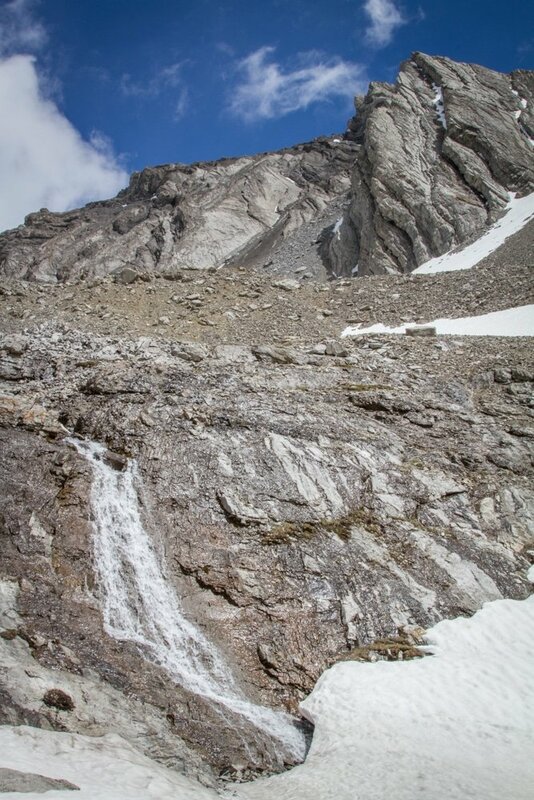 There is a small waterfall and often snow up top still. It’s a short and sweet hike back down to the parking lot, so take your time exploring.